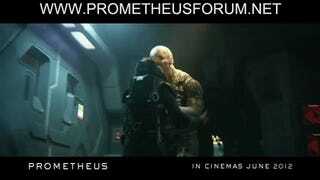 New Prometheus TV spot shows the many ways this crew is doomed! 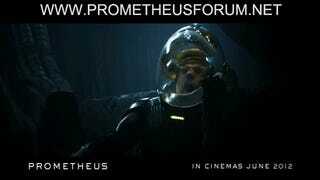 This is by far the most gruesome — and spoiler-filled — trailer for Ridley Scott's Prometheus yet. We're talking full-on carnage, and some glimpses of crazy easter eggs to go with that big Easter Island head. Feast your eyes on the dark horror that awaits this crew — including a couple animated GIFs! Good lord. We're so happy this movie is rated R! Let's spill some acid blood already, Prometheus will hit theaters on June 8th.